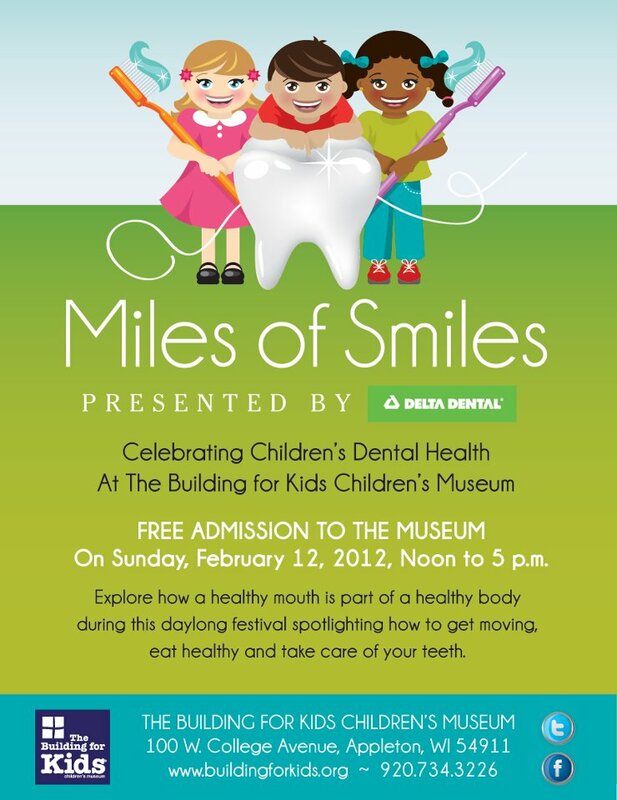 Building For Kids is hosting Delta Dental Miles of Smiles is a fun day for families to learn about healthy teeth and healthy kids. FREE admission for all. Sunday, February 12, 12-5pm.